According to K.C. Chang, editor and author of Food in Chinese Culture, few other cultures are as food oriented as the Chinese. This is evident in ancient and historical manuscripts – it is believed that one of the most important qualifications of a Chinese gentleman was his knowledge and skill of food and drink. Indeed, in an excerpt recorded in the Chou li, a text from the 12th century, out of the four thousand people who had the responsibility of running the king’s resident quarters, almost 60% of these handled food and drink. Adaptability is at the forefront of Chinese cooking. Perhaps because of the country’s somewhat turbulent past, people have had to become flexible in terms of produce, meaning that in times of scarcity as well as abundance a Chinese cook can prepare nutritious, satisfying meals. In addition, food is not only deemed as sustenance; it exists to cure ailments or prevent diseases. The expansive and progressive knowledge of Chinese cooks extends to health and wellbeing in a similar way to Western dietary treatments. This mentality has transcended thousands of years to modern times. 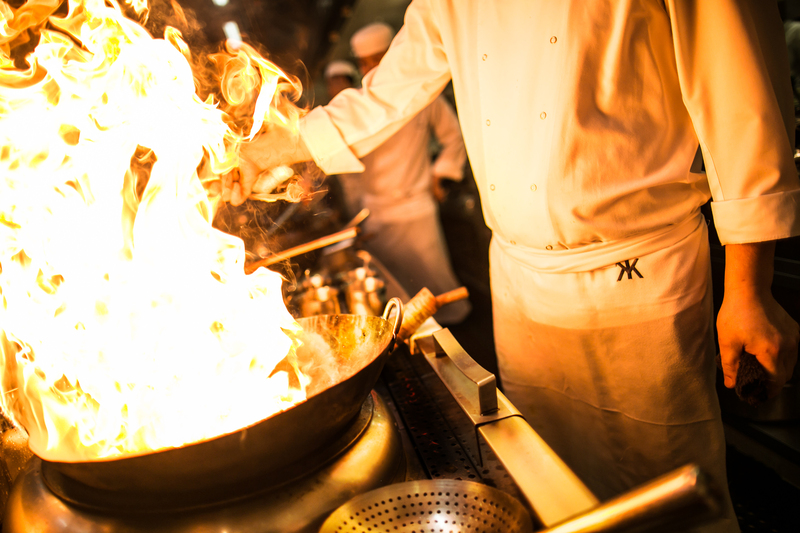 Authenticity – the genuine representation of the essence of a dish – is fundamental to Chinese cuisine. The Chinese ‘way of eating’ stays faithful to its historical roots, regardless of where the cook is in the world. The nuances of cooking – of knowing which ingredient is in season at what time and of how to blanch, braise, roast or shallow fry – are passed down from generation to generation. Executive Chef Tong Chee Hwee grew up in a mountainous region in Guangzhou, China (previously known as Canton) – an area which challenged his family in terms of food – yet it is his grandmother’s humble style of cooking, usually over a fire of which Tong had provided the firewood, that initially and eventually inspired his journey into professional cookery. 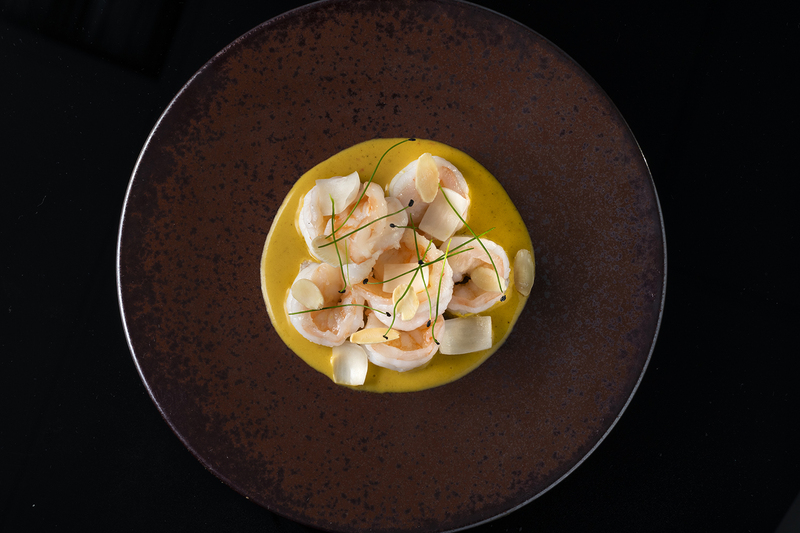 While Tong’s cooking is steadfastly rooted in history and familial heritage, his dishes have evolved over the years to welcome and embrace progression, modernity and innovation. He fuses traditional Chinese culinary techniques with contemporary gastronomic methods, using both the steel wok and open flame to achieve wok hei – the sweet caramel char caused by cooking at a high heat – and the sous vide to perfectly and precisely cook meat or vegetables while retaining their nutritional value, elevating the Cantonese cuisine at Hakkasan and creating unique and elegant dishes bespoke to the restaurant. Tong’s dedication to excellence has achieved himself and his restaurant many awards, including Michelin stars in both Hakkasan Mayfair and Hakkasan Hanway Place. Yet it is the driving force of the people behind the scenes at Hakkasan who continue to allow it a place to shine in the thriving restaurant scenes around the world, from the bright lights of Shanghai to the bustle of New York. With the recent opening of Hakkasan Dubai in Atlantis, The Palm, this evolution has never been more fast-paced. Many of the signature dishes have been elevated in celebration of the event, from the delicate spicy prawns served with lily bulb petals and sweet flaked almonds to the meaty wagyu beef ribs smoked using aromatic jasmine tea leaves. In addition, a number of new dishes have been added to the menu, showcasing the diversity and elegance of modern Cantonese cuisine. 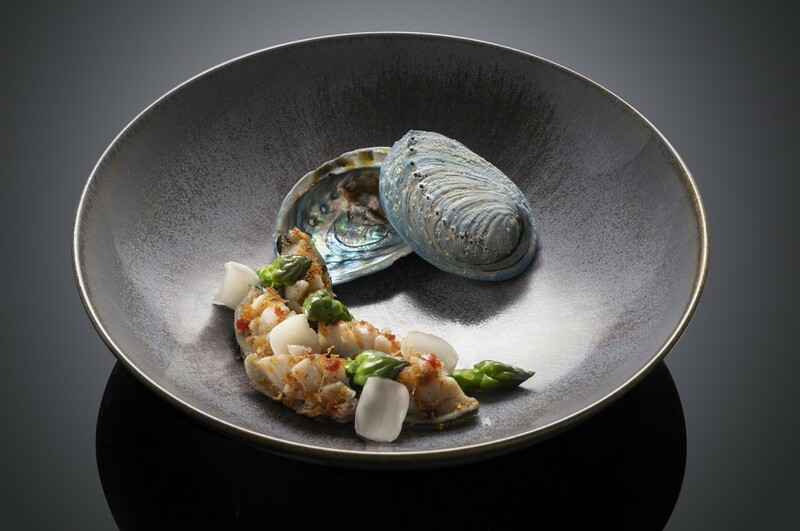 New Zealand blue abalone farmed from a unique conservation area which sustains native Maori traditions are served wok-fried and intricately plated with crunchy asparagus; the dim sum selection features cobia fish and wild mushrooms, of which there are plenty. 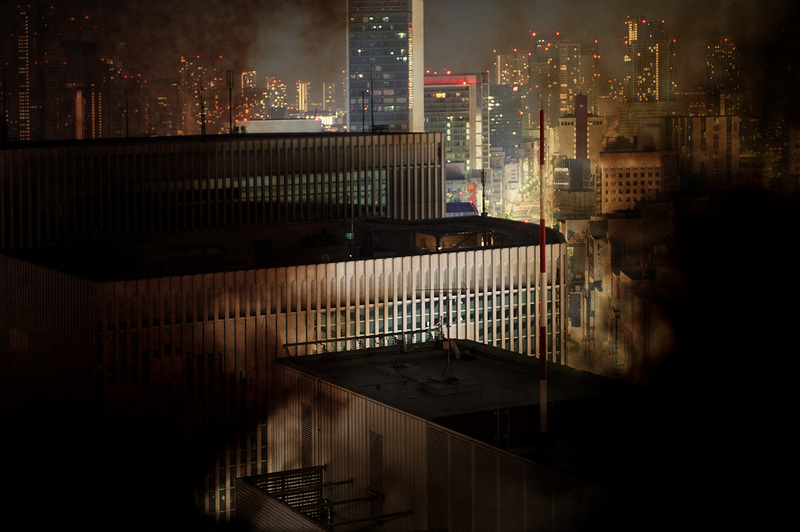 Importantly, this evolution must take into account the global issues of sustainability and the environment. Whereas once these issues weren’t acknowledged in the wider food industry or the press, now their importance need to be addressed. This means ensuring that fish are sourced responsibly to ensure the future of fish stock; of cooking local and seasonal produce wherever possible to reduce the environmental impact of long-haul transport; and of reusing and recycling to reduce food wastage and removing single-use plastics from the restaurants. Ultimately, this brings adaptability to the fore: it is important for Hakkasan, and for all restaurants, to be able to adapt to this new awareness about the impact on its surroundings. 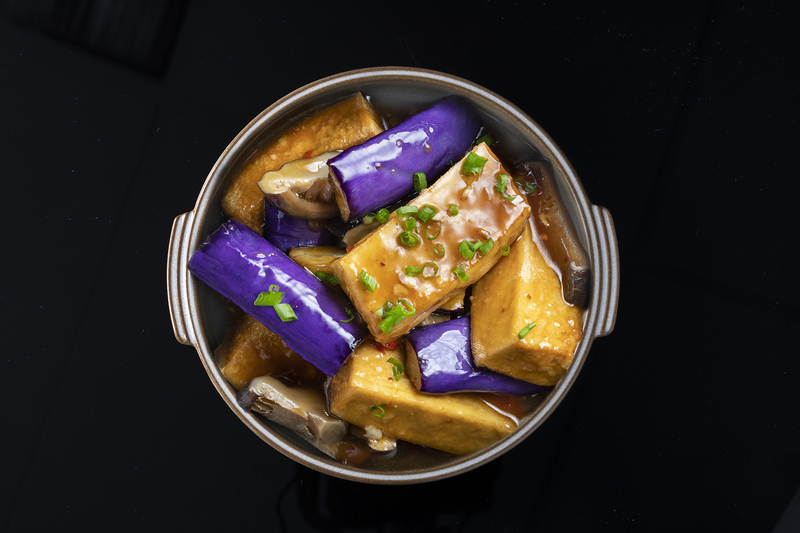 Hakkasan aims to be a leading force in the future of sustainable food. It is through the adaptability and flexibility of Chinese cuisine that this will be possible.